We offer full supply and lay of Resin Bound Surfacing & Resin Bonded Surfacing to domestic and commercial clients covering the UK. 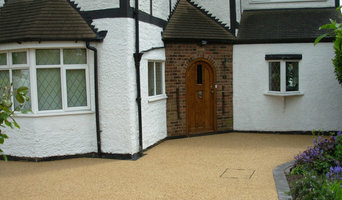 Resin Bonded gravel installation for driveways paths and patios. Existing surfaces such as concrete and tarmac resurfaced. Duffield driveways are beautiful to look at but the combination of meticulous preparation, the highest quality materials and Federation of Master Builders approved workmen ensures that the beauty is more than skin deep. That's why Duffield Construction is happy to give a 10 year guarantee. With Duffield, you get a magnificent driveway that will remain that way for years to come. 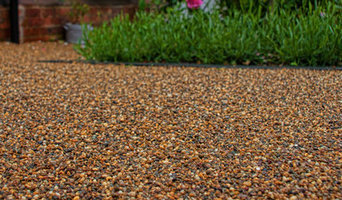 We supply a great new product to our range of driveways - Resin Bound Gravel - a beautiful decorative surface with the following benefits; high quality finish with fantastic visual impact, anti-skid properties, crack/frost resistance, weed-free, extremely hard working and maintenance free. We have an outstanding reputation for customer satisfact. Why choose us? - Based in Derby - Commercial and Domestic - Reliable - Competitive rates - Satisfied customers - We only ues quality products - Friendly service - Years of experience - Established over 25 Years - All work guaranteed. Welcome to Derbyshire Driveways, We specialise in domestic and commercial groundworks, driveways, brickwork, Slabbing, patios, tarmac and all types of paving services, turning your driveway or patio into a beautiful and unique area. We offer a wide range of patterns, wide choice of colours, different types of paving and are very happy to share our ideas and advise. Why choose us? Commercial and Domestic customers catered for. Reliable. Competitive rates. Satisfied customers. We only use quality products. Friendly service. Years of experience. Excellent service. Friendly team. We only use high quality materials and our workmanship is of a very high standard. We pride ourselves on the quality of our work, our integrity and reliability, whilst of course all our work is carried out to your 100% satisfaction. We have over 25 years experience in offering groundwork and paving services to our clients so you can be sure you’re in good and safe hands. We are fully insured and all our work is guaranteed from installation! We take absolute care to discover and appreciate client requirements at the start of the project. It’s then possible for our key project managers and their teams to implement your project through to conclusion. Our expertise in project management doesn’t simply keep things firmly on track. By providing all parties – professionals and clients – with clear information, everyone is aware of the project status. Derbyshire Driveways is continuously researching the market to take advantage of all the latest developments in quality materials and construction technology to bring our customers the very best in quality. All our team members are fully trained professionals and continually seek opportunities to expand their knowledge and expertise. They know how to solve any installation issues so that the final product looks exactly as designed and is to your standard and expectation. Please look through our wide range of services provided. For a free, no obligation quotation please call us today. Beech Contractors is based in Newark, Nottinghamshire, with 4 generations of experience, we have paved and resurface everything from championship golf courses to domestic driveways. As a team, we put 100% into every job we undertake and as a result we have an average result of 9.55/10 on check-a-trade. We specialise in all aspects of driveways from tarmac to block paving, and landscaping to fencing. No matter what the job we provide a quality service with a beautiful finish. Our priority is quality work ,reliability and customer satisfaction. We take pride in all our work which means you can relax. Door 2 Door Taxis is an honest, reliable taxi service serving Chesterfield and the surrounding areas. With the manager having 25 years experience in the taxi business, and being directly involved with running the company as well as being a driver, we can guarantee that you are in good hands. We believe that being reliable and friendly is the key to success in this business sector, which is why we interact with customers as much as possible and try to provide the best service we can. We have proven to be a fast-growing taxi firm in Chesterfield, by building trust with our customers and gaining repeated custom. Door 2 Door Taxis hope to be the go-to taxi company for Chesterfield and South Yorkshire. Based in Chesterfield, we are a family-run business who pride ourselves in providing a first class service to all customers. We have a team of hardworking, experienced and polite craftsmen who give 100% to every project, small or large. We use a wide range of quality, locally sourced products. We can provide patios, driveways steps, walls and many other hard landscape projects. We specialise in block paving in Sheffield, Mansfield or Chesterfield area and we always meet client’s expectations, both on time scale and quality. Over the years we’ve done everything from the wholly traditional to modern contemporary. You can choose from a vast selection of designs, colours and patterns to complement your tastes and the style of your home – all as practical and hard-wearing as they are attractive. If If you're looking for driver CPC training or Trailer Training in the Nottingham area, give the professionals at Nottinghamshire Driving School a call. With a wealth of experience in the trade and a reputation based on quality and professionalism. 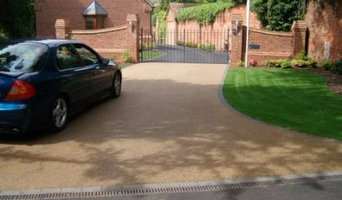 Why should I hire Nottingham, Nottinghamshire driveway pavers? For those building a new home from scratch or completely renovating a house, sorting out the driveway and paving around the exterior of the house is usually something that comes as an afterthought, or at least left until the main living areas areas of your home are sorted. However, it’s always a good idea to talk to professional Nottingham, Nottinghamshire driveway pavers at an earlier stage because they can work in tandem with any other exterior contractors working on the job to create driveway solutions that work with the rest of your house. The driveway construction may not be able to happen until after other contractors have finished, but the space will be ready for the paving or laying of the driveway. Here are some related professionals and vendors to complement the work of driveways: Stone, Paving & Concrete, Main Contractors, Landscape Contractors, Cladding & Exterior Contractors. Find a driveway pavers on Houzz. 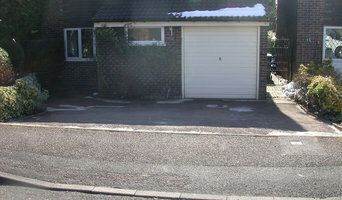 Narrow your search in the Professionals section of the website to Nottingham, Nottinghamshire driveways and paving. You may also look through Nottingham, Nottinghamshire photos to find examples of driveway solutions and paving that you like, then contact the driveway pavers or contractors who worked on them.